No washing line? No grass to place one? Then you need the Hurricane fold away wash line. Easy to assemble and with all the required hardware included the Hurricane wash line is a must have for anyone that does not have a lawn. 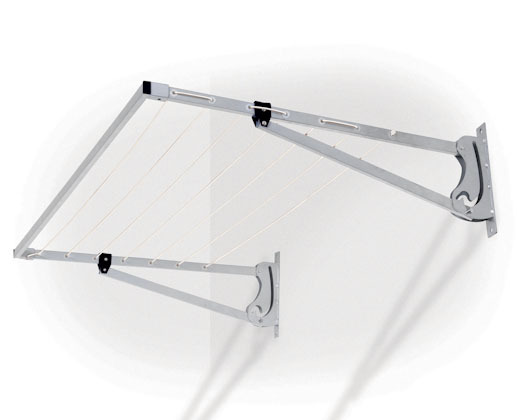 The Hurricane has durable nylon washing line and an easy lock system to keep your clothes in the air. The Hurricane gives you 7.7m of drying space. Size: 120 x 18.5 x 73.5cm.